The College is spread over an area of 60 acres. This includes two Academic blocks College Library, Computer lab, Language lab, Science laboratories and examination halls. There is a College cafeteria, kit shop and barber shop in the basement of Junior Academic Block. 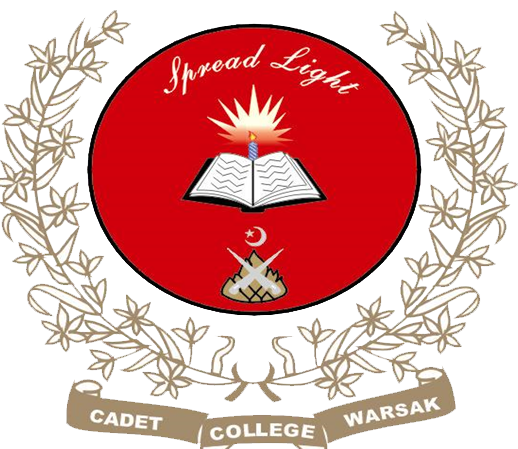 There are four houses, namely, Jinnah, Sher Shah Suri, Shaheed and Iqbal; cadets mess with a dining capacity of 600 cadets in front of these houses. Each house accommodates about 120 cadets. On the far end of Academic blocks, lies the main block and just behind the main block, is the splendid College mosque that consists of two big halls. The College Main block houses the office of the Principal and other supporting staff. The College has a decently equipped college MI Room and access to hospital in Swat Scouts as well. The College has a number playing fields which offer opportunity to almost 500 cadets at a time. The games played on these grounds include: Cricket, Hockey, Football, Basketball and Volleyball. Also the College has a state of the art gym that has all the facilities of indoor games and exercises. Horse riding is a convention in CCW which is held almost through out the year. The College provides accommodation facility to the members of the staff at the campus. The college is provided full proof security around the clock by the Frontier Crops.